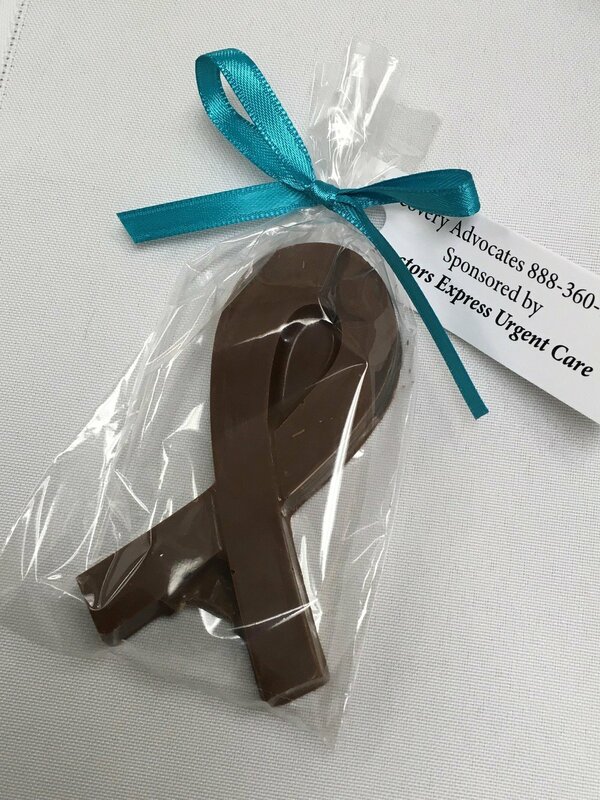 Our Cancer Ribbon has been used as a fundraising tool and as a Favor for Weddings and other Events. Personalized tags are available. We will bag, ribbon and attach tags for you.